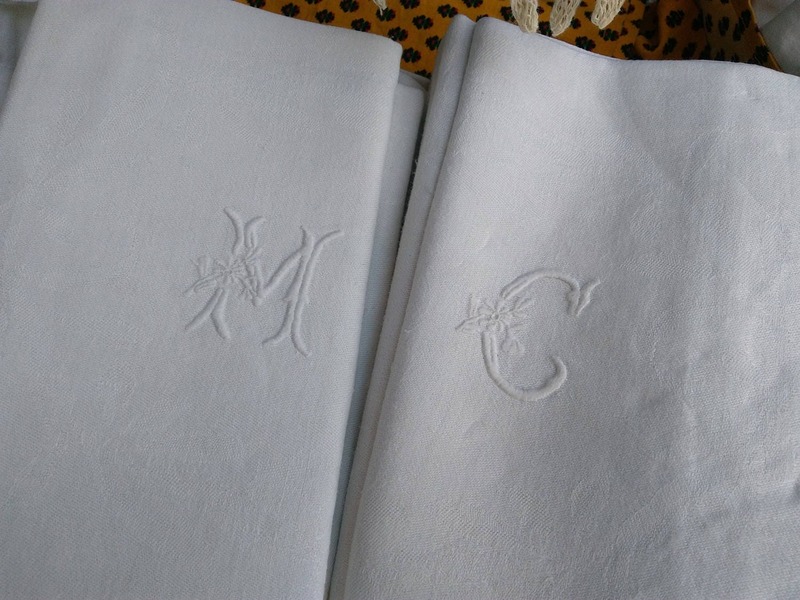 Gorgeous Antique Damask napkins. 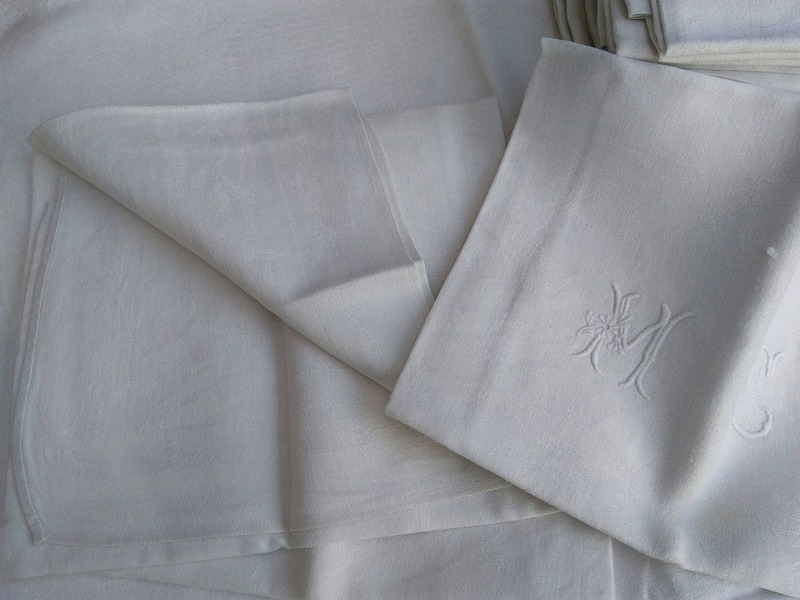 French linen made . 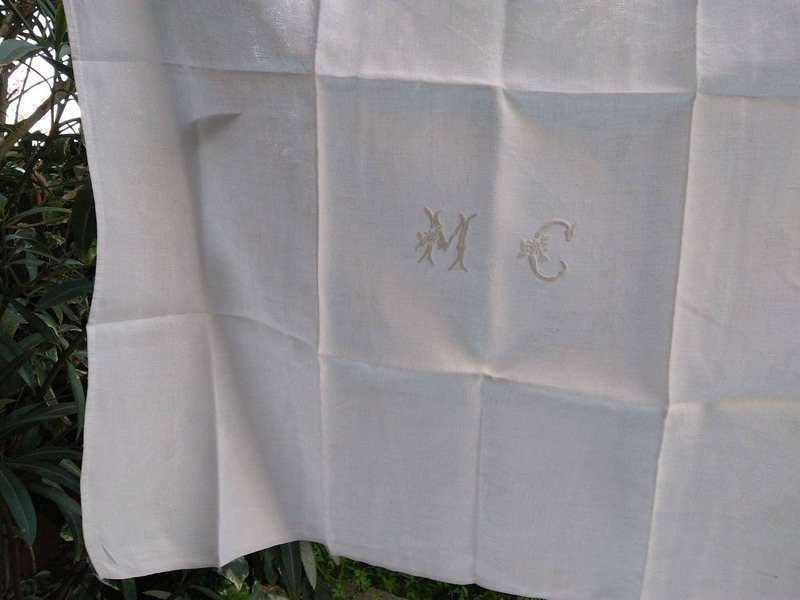 Monogram "MC"hand embroidered. The fabric is really beautiful and of high quality. Will last another 100 years. 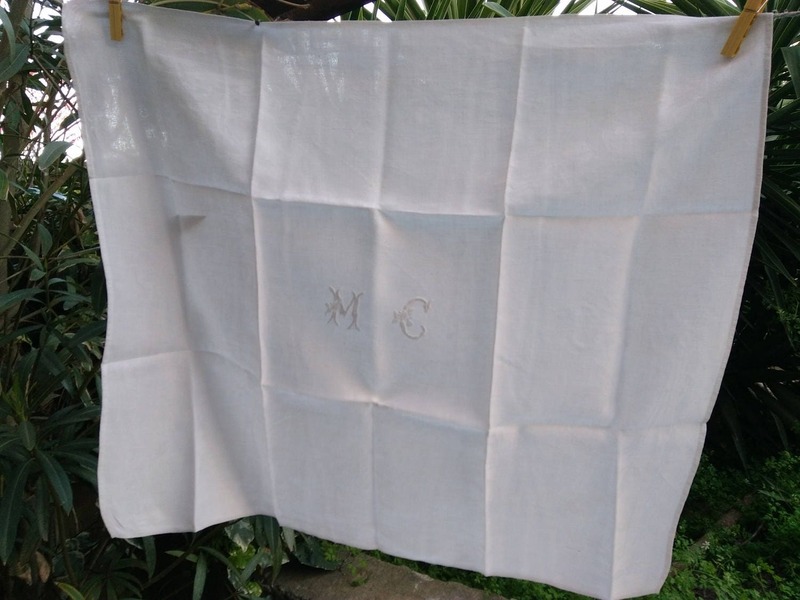 Fabric is in a good vintage condition with light stains and rusty spots . 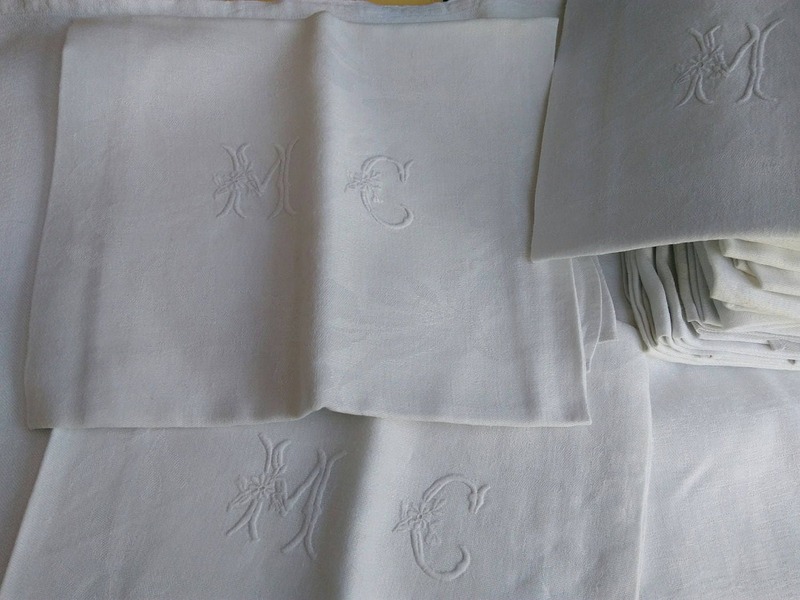 Beautiful to be in use again as napkins , to wrap a bottle of wine or to put in a bread basket !